You are here: Home / Freelancing / How Individual Freelancers Can Price Their Proposal? Price isn’t the only factor in a proposal for it to be accepted or rejected but it is still an important factor to consider. If the best among the top proposal has to be selected and if everything else remains the same, the price can be a factor. On top of that some clients are often looking to experiment with pilot projects that shouldn’t cost much and so the price becomes an important aspect of consideration. So, here are tips to put a right price tag for your proposal. The client’s budget on Upwork isn’t the maximum amount client is willing to pay but it is a ballpark figure client is willing to spend. If you always try to keep things within the client budget, the project may not be feasible for you. So craft a proposal to convince the client how it is not feasible to get things done within the budget they have set and how much they need to extend it. Never try to deliver a subpar service just to meet a budget. You may be worrying how can one add multiple prices to a proposal. Though it is not technically feasible to add more than one price, often the unnecessary details add it to the time needed for coding. It is a 20-hour task and I can get this done ASAP. When you provide hours as well as an amount, the client will check your hourly rates and if it is inconsistent i.e. anything other than $25 per hour, in this case, the chance of your proposal being accepted reduces considerably. Avoid the hours needed for a fixed price task. However, if a client is interested in knowing the timeline, share when you will have it ready within a week or a specific date or even like by the next Friday. If one has to include the price as well as the time make sure both are consistent. We all have a perception that people look for a cheaper price tag but it is a myth. What people look for is more value at the same price range. y dad purchased the first Nokia mobile phone in 1999 or 2000ish time for ₹14,000. In 2015ish I purchased an Android phone for a similar price range. The same price but with lot more features. I didn’t opt for a cheap phone that costs 10x times lower. I did compare the price but the comparison was between the set of phones offering a better value at my price range (read budget). Would you buy a phone that costs 10 times less? The answer will be an instant no for most of us. The same may apply to cars or bikes or anything for that matter. People don’t buy cheap things, they buy things that offer good value for money. The same applies to clients looking to hire a freelancer. The freelancing marketplaces don’t mean clients are looking for the cheapest price. They are on them to look for good value for money. So, back to the original question as to how one should price the proposal? How to Price Your Proposal? Client requirements are solid and knows what he needs. Client knows the outline of what he needs but want to experiment as well. If client is not sure about the requirements, it is always better to start with an hourly contract though I prefer fixed price over hourly tasks because I get paid more for being efficient. Here is my way to setting up hourly rates. Once your hourly rate is set, try to estimate the time needed to get the job done. Keep some buffer time for support. Estimate the extra work that may come up once the client sees the first version. 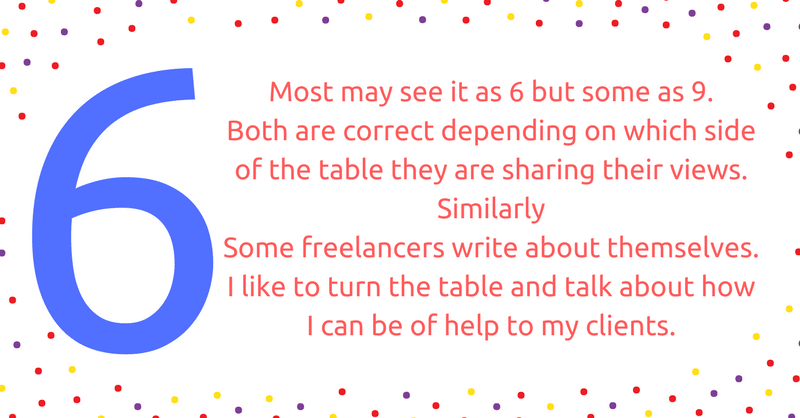 As an expert, it is something a freelancer can foresee but may not be that easy for the client. Now estimate the time needed for the initial phase as well as the extra work you foresee. Multiply the estimated time by an hourly rate to get a price estimate and don’t forget to add the fees that freelancing site or other payment options may incur. The formula to calculate the price for a proposal will always be the time needed multiplied by the rate but what if .. Client isn’t ready for the price – If the price and the budget are way off, it is better to let go such projects but if the price isn’t too much off, the proposal should explain how you are foreseeing the extra work that may be a must for the client and so they have to extend the budget. Others estimate a very low price for a very high quality work – The niche is very competitive and if price is the only factor that can distinguishes your USP, it is high time to reconsider the niche. You estimate things differently than others – Sharing what is included in the price will help. It will make things clearer for clients. I have seen for many of my proposals client ask similar stuff to other freelancers who are offering services at lower price points but it is tough for them to add for the same at their price and client reverts back to me. Pricing isn’t the only factor to decide which proposal will win the project but it can be one of the factors for a decision. Craft a proposal that helps a client understand the value you can add to a business and it will help you set the right price for your services.